The first of the month brings one of the best recurring events in the Nation’s Oldest City! St. Augustine Art Walk gives locals and visitors a chance to visit the local galleries, enjoy some complimentary food and wine, and experience one of the best art scenes in the country. There’s no better way to spend a couple of hours than strolling along St. Augustine’s cobblestone streets on a clear, cloudless evening. Get the inside scoop on the event, as well as how you can easily visit our favorite galleries in town! The St. Augustine Art Walk takes place on the first Friday of every month from 5:00 to 9:00 p.m. In total, there are around 30 participating galleries, each showcasing the works of local, national, and international artists. You’ll find almost every genre represented, from classical to more contemporary styles. The mediums seen are just as varied, with sculpture, jewelry, and wood. The best part of the evening is the chance to chat with some featured artists. You can find the perfect piece to add to your home or a collection and talk with the talent who made it! Some galleries even host a live painting session or an organized question and answer session with the artist. Check the First Friday Artwalk’s website to keep up-to-date on any special events. Amistad: While not a traditional art gallery, Amistad is a participant in the First Friday Art Walks and a must for first-time visitors. They carry handcrafted fair-trade items made by local artisans. It’s the perfect place to look for a unique gift or souvenir from St. Augustine. It’s just a four-minute walk from Agustin Inn! Metalartz Gallery: Located on Hypolita Street, Metalartz is one of our favorite attractions off the beaten path in St. Augustine. They carry gorgeous works from over 60 regional and national artists. You’ll find everything from handcrafted sea glass to elegant jewelry. Metalartz Gallery is just a three-minute walk from Agustin Inn. Whether you’re visiting in the winter or the summer, the St. Augustine Art Walk is a fantastic addition to your itinerary. There’s no better way to connect with some of the most talented artists in this gorgeous city. Before you do anything else, though, be sure to book your stay at Agustin Inn! 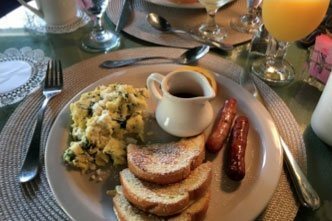 Our historic bed and breakfast is located just off of St. George Street, minutes away from the best restaurants, shops, and attractions in town. 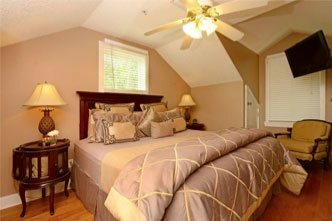 You won’t be able to find a more comfortable, cozy, and beautiful guest rooms in such a convenient location anywhere else in St. Augustine! Are you ready to book your stay? 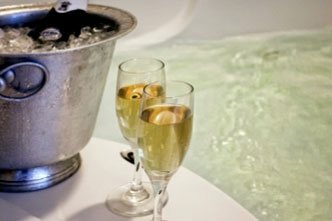 Check our availability and reserve your room with us today! We look forward to having you. 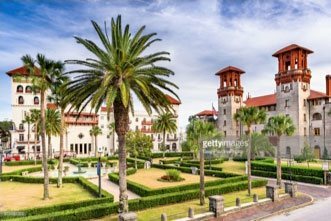 Are you looking at some great things to do in St. Augustine today? Follow us on Facebook! We are always posting about awesome local events! Plus, you’ll get to hear about any new packages, specials, or add-ons available!